At a certain point in our conversation Niharika Choudhary reminds me of R Madhavan’s Farhan Qureshi in Raju Hirani’s Three Idiots. Like when he stupefies his unsuspecting parents the day before placements begin in the engineering college he studies in. While the folks expect him to land up with a cushy job, he throws down the gauntlet and announces his knack for wildlife photography. A bitter row ensues. Eventually the parents do realise that destiny has other plans for their son. 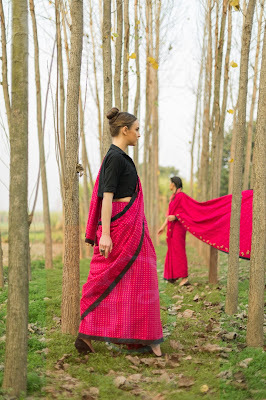 She relinquished the opportunity to work with renowned interior and design specialist Tarun Vadehra after graduating from NIFT because somewhere in her heart she had already gravitated towards slow, sustainable fashion. The parents could do nothing but wait and watch. So, did her gamble pay off? 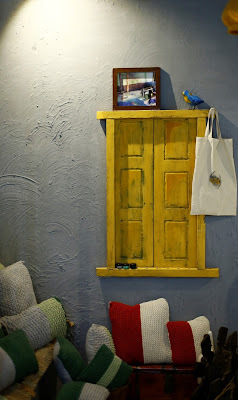 I suggest you visit the Peeli Dori Concept store in Shahpur Jat to decide for yourself. 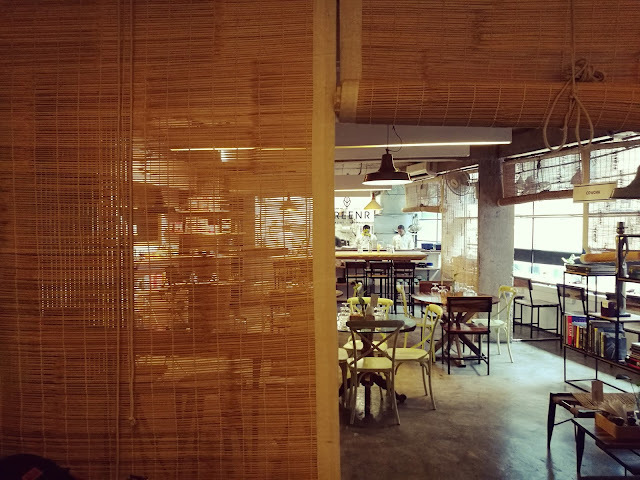 It’s a space that is steeped in the rural traditions of India but with a contemporary tinge. The colours are happy yet solid and the mood is quaint, with oodles of character thrown in. Handknitted cushions in cotton yarn lie around happily with handcrafted ceramic ware and the walls show off the little trinkets our village markets and gullies flaunt on a daily basis. That’s just on the surface though. Take a close look at the clothes. They are brilliant in concept and approach. 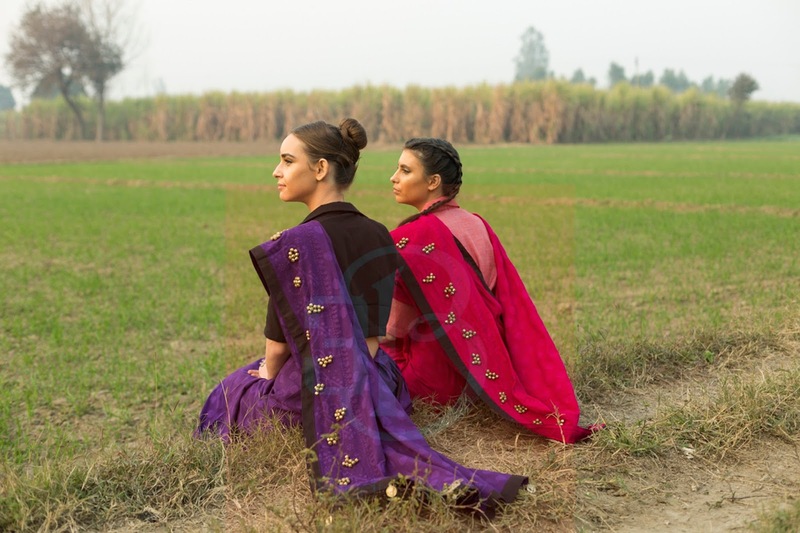 Handwoven saris that are both minimalistic yet carry a weight of their own juxtaposed with fun and breezy separates, the clothes are unusual and steeped in an ideology that is organic and eco-friendly. I spent a good amount of time going over the saris and I notice that despite being a young label, Niharika’s eye has given each piece a charming personality. These are clothes that will make the wearer stand out. “My design principles are need based. I also make clothes I know I will wear. 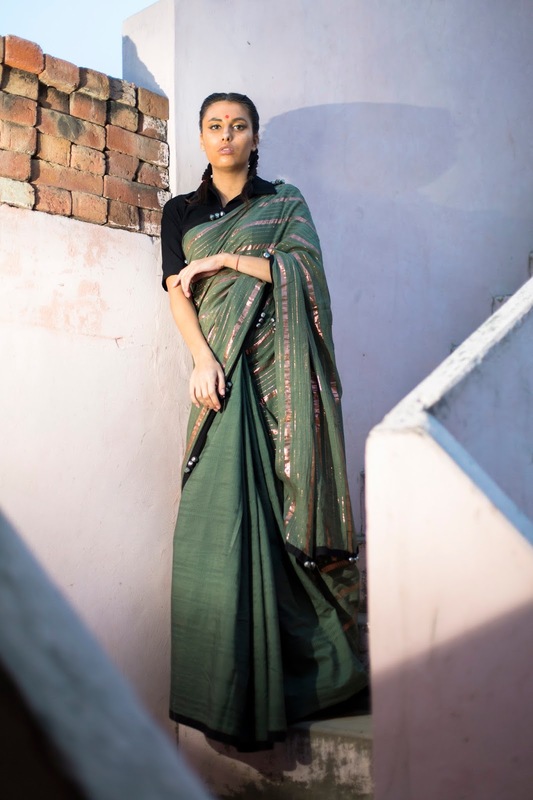 I am not a sari person so my saris have automatically started looking young, stylish and unlike what the traditional drape is,” she says. 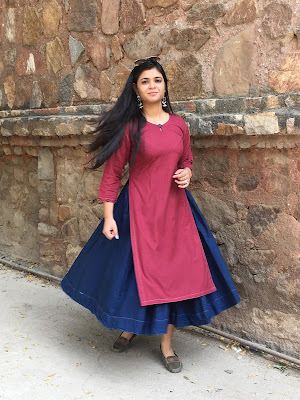 Initiated to the concept of design and fashion in Class eleven when a senior visiting from NIFT doled out all the information to her, Niharika’s interest was piqued to pursue a career in something where she would be able to create. The parents did not comprehend this sudden shift in direction. But she stuck on and eventually convinced them that her reason to join NIFT was to do something related to architecture and design. But even during her course tenure, she took up projects with various craft clusters and thrashed out ideas on how to merge their skills into the mainstream market. A long, tasking journey of trials and errors followed as Niharika picked up the ropes. “I didn’t know how to cut. It took me a while to understand that. But I was sure of how I wanted the clothes to look, the trimmings that I preferred, the styles that would work with young girls and women. I followed my gut even as I worked with craft clusters in the villages of UP and Rajasthan. 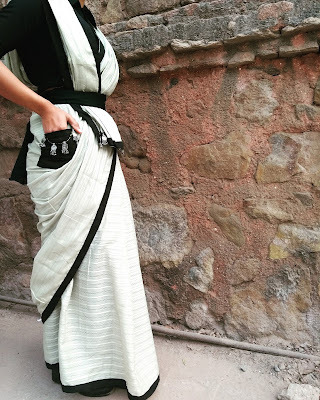 I loved cotton as a fabric and based most of my designs on that,” she narrates.